(People) Three of the most recognizable voices in soul paid tribute to the greatest ever — Aretha Franklin. 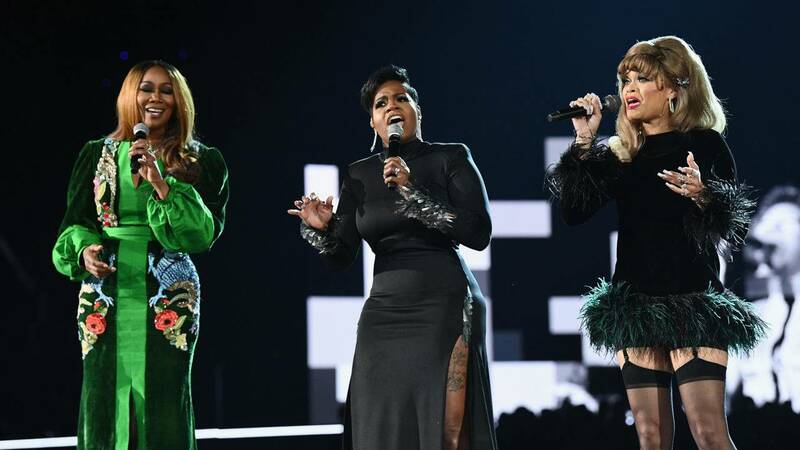 Fantasia Barrino-Taylor, Yolanda Adams and Andra Day banded together at Sunday evening’s Grammy Awards to recognize the late queen of soul, who died on Aug. 16 of pancreatic cancer of the neuroendocrine type at the age of 76. The women delivered a powerful rendition of “(You Make Me Feel Like) A Natural Woman,” released by Franklin in 1968. Standing side-by-side, Barrino-Taylor, 34, Adams, 57, and Day, 34, captivated audience members, prompting a number of attendees to give a standing ovation. Fans watching from home also expressed their excitement on social media. “This Aretha Franklin tribute has been the best part of the Grammys,” one user tweeted. Yolanda Adams, Fantasia and Andra Day just killed that Aretha Franklin tribute!” another fan wrote. “This Aretha Franklin tribute was AMAZING,” a different fan tweeted. Adams had previously saluted Franklin in song back at the 2011 Grammys, when she teamed up with Christina Aguilera, Jennifer Hudson, Florence Welch (of Florence + the Machine) and Martina McBride for a 10-minute run-through of Franklin’s many hits.